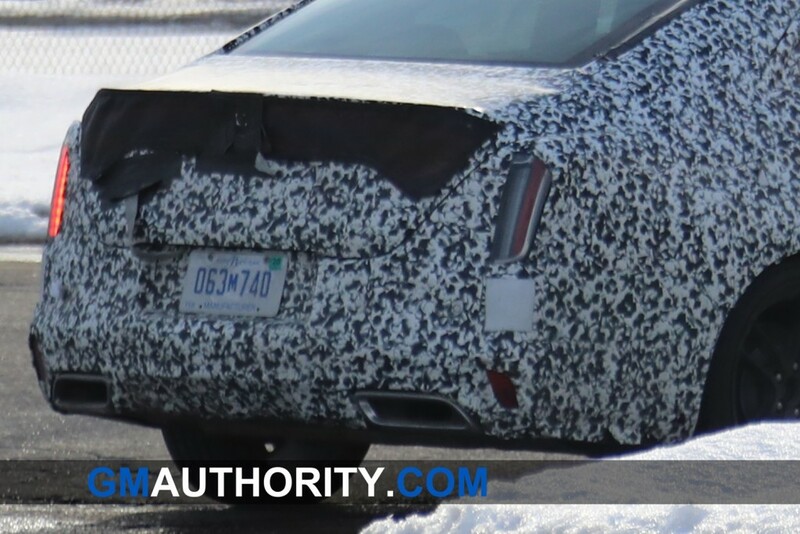 Cadillac made a surprise online debut for the Cadillac CT5 on Monday ahead of its official reveal at the 2019 New York International Auto Show, but we now know another sedan is coming this year. Cadillac President Steve Carlisle told Automotive News (subscription required) that the smaller CT4 will also debut this year. He did not provide any timing or details on the car but confirmed we’ll see the car debut in 2019. His comments also put to rest the debate over whether Cadillac will call the smaller the sedan “CT3” or “CT4,” as he confirmed it’s the latter option. While the CT5 replaces both the ATS and CTS sedans, the CT4 will handle the smaller side of things. Specifically, it should be positioned to battle the sub-compact segment and tackle the Mercedes-Benz A-Class and Audi A3. It could make the CT4 Cadillac’s least expensive offering and gateway vehicle to the brand. It too should ride on the Alpha 2 platform and offer both rear- and all-wheel drive. We’ve spied the CT4 testing and it should look a lot like the CT5, especially in the front fascia. Cadillac previously said its design language would move away from the hard angles and vertical lights up front. That’s exactly what we saw from the first photos of the CT5 sedan. The headlights, specifically, are horizontal like and flow into a new grille. LED accent lights sit vertically to keep some of the traditional Cadillac flair. For power, we expect the CT4 will arrive with Cadillac’s 2.0-liter turbocharged LSY four-cylinder engine. The 3.6-liter LGX V6 engine may show up as an optional engine. The CT5 will not offer the engine, and instead, come with the 2.0-liter turbo-four or a 3.0-liter twin-turbo V6. While we can expect a CT5-V to show up and replace the beloved CTS-V, it’s unclear if a CT4-V is planned. There will, however, be a CT4 V-Sport. 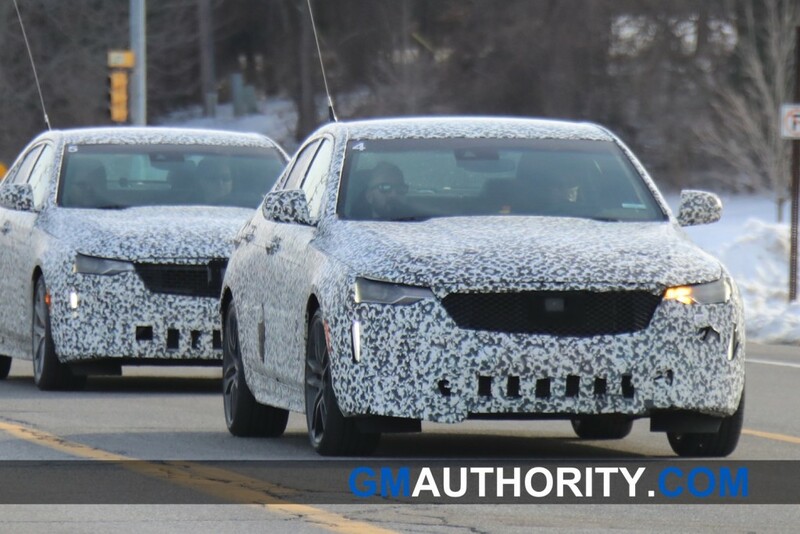 It has the ATS greenhouse, so it likely has the ATS wheelbase and width and tiny trunk. Hopefully, the price will be lower to compete with the smallest German sedans. Manual trans, please, please please, preety please! Hopefully it will look a lot better than the CT5 which, quite honestly, looked better with the camo still in place. The CT4’s proportions are good so it looks promising but then CT5 looked very promising too when covered up but proved to be a major letdown for me yesterday morning. I have high hopes for this now after seeing the CT5. No need to reveal. If it looks like the crap that was revealed yesterday, Give up Cadillac your design language stinks. Benz and Audi have left you in the dust while BMW regurgitates the same crap for the masses. Are these cars finally from the Johan de Nuyschen era? Maybe just barely. Some early decisions could have been made just before he got there. I would say anything after this is fully developed under Johan. The CT4 with the 3.6 L will be great. It would be even better with the 3.0TT V6. If the CT4 is smaller than the ATS I would expect the CT4-V to have the 3.0TT. I LOVE the way the CT6 and XT4 look 10000x more than the CT5 and XT6. The CT5 looks pretty good (absolutely love that purple color), but the XT6 just looks boring IMO. The XT4 is by far the best looking Caddy CUV. The CT6 sure does give the Escalade a run for its money in terms of best looking Caddy period. These are the products that Reuss delivered to de Nysschen. Let’s always remember who is in charge of product for all the divisions. So we can blame the chintzy rear quarter faux windows on Reuss? I’m reserving some blame for GM’s design studio. They’ve been amateur night every day of the week. And where does Design report into? You guessed it. I’m hoping an eventual CT3 will be a BMW 2-Series competitor. CT3-V to beat the M2. Can someone please tell me what’s wrong with the CT5, is it because Cadillac decided to soften the Art and Science? Honestly the CT5 wasn’t a bad looking car, I think it was quite elegant. Maybe y’all just need to see it in person, I swear Cadillac can never win with y’all. Also did anyone zoom in and see the Rear Camera mirror in the shark fin? Also it looks like the touch screen is semi floating but I really could’nt tell. If it is anything like the unveiled CT5 it will be another swing and a miss for GM’s once Standard of the World. Great Job Cadillac. Some will some won’t and so what. I am in the column that thinks you have done a great job on all your newest line ups. I wish you continued evolution and success. New buyers don’t need any of that. Old buyers want cabin space. New buyers want TECHNOLOGY. They don’t have back backs that mess with ingress/egress or they’d be looking at an XT4. You’re totally off base with what modern sedan buyers want. Will there be a convertible CT4 or CT5? Everything written about Cadillac’s CT4 suggests that the CT4 may have been designed for China and not the United States as this is reason why there may not be a V model; although for the Chinese market, it would be the LSY 2.0L DOHC-4v 4-cyl or possibly a hybrid as China wants to transition to electric vehicles faster than the US market. What a disappointment. First the XT6, and now the CT5 – both of them bland, nondescript, and profoundly boring, and I have no doubt the CT4 will follow this new tradition. We can absolutely thank China for this. China has nothing to do with this. This is the same old story- let’s just rework the ATS and call it something new and look at all the money we will save. After all, the ATS was the best car ever made. Cadillac does sell more vehicles in China, but they make a majority of their profits here in the US. It is crucial that Cadillac Attract not only US buyers, but also those in China and in Europe.